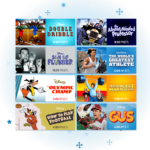 TCM’s Treasures from the Disney Vault returns on Tuesday, December 18th, for the seventeenth installment in the series, which debuted four years ago this month. The fun kicks off at 8:00 pm ET, but if you’re absent during the first few hours, we forgive you. As poor scheduling would have it, Mary Poppins Returns debuts in theaters this same night at 7:00 pm in your local timezone. 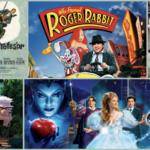 You could spend the evening in a theater full of the biggest fans of one of Walt Disney’s greatest films eagerly awaiting the return of the flying nanny, or you could relax on your couch and watch some vintage Disney fare from the 1960’s and 1970’s. The theme for the night is sports. 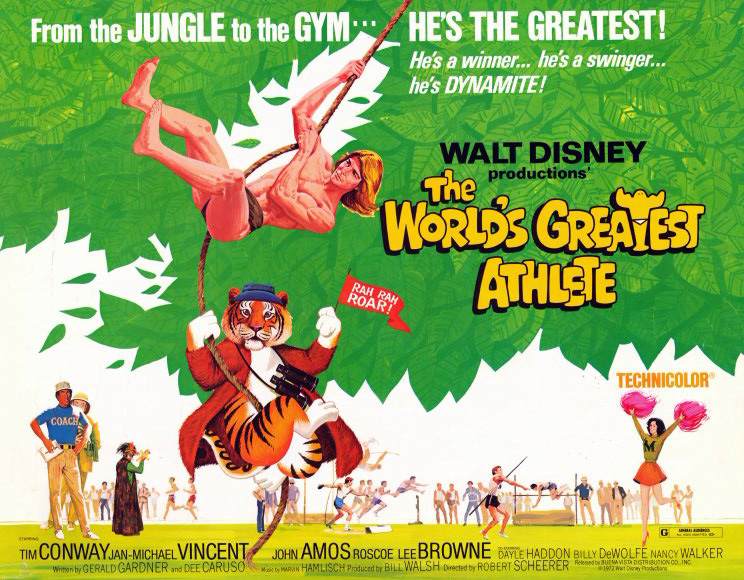 Decades before The Mighty Ducks, Remember the Titans or Air Bud, there was The World’s Greatest Athlete, The Strongest Man in the World, and Gus (the field goal kicking mule!). The evening starts with a true classic, The Absent-Minded Professor, and its sequel, The Son of Flubber, best known today for the 1997 remake starring Robin Williams, Flubber. 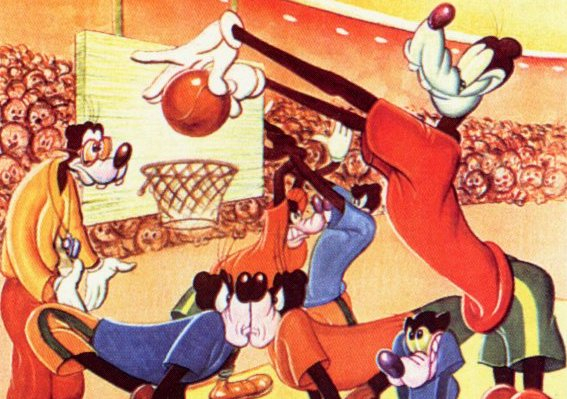 And for a dose of classic Disney animation, some of Goofy’s how-to shorts are presented, all with a sports theme. 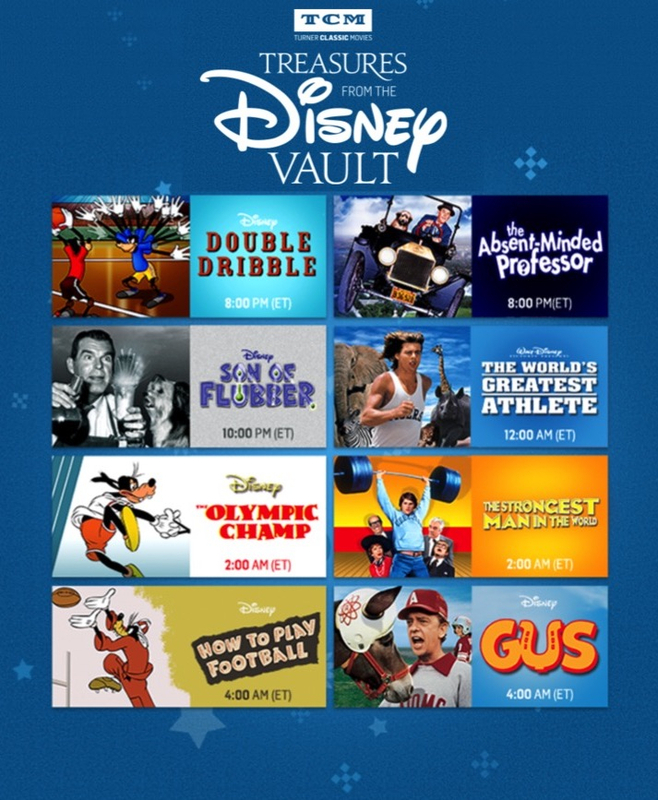 Goofy has long been my favorite character of the fab five and I’ve been waiting for four years for any of his starring roles to be featured on Treasures from the Disney Vault. 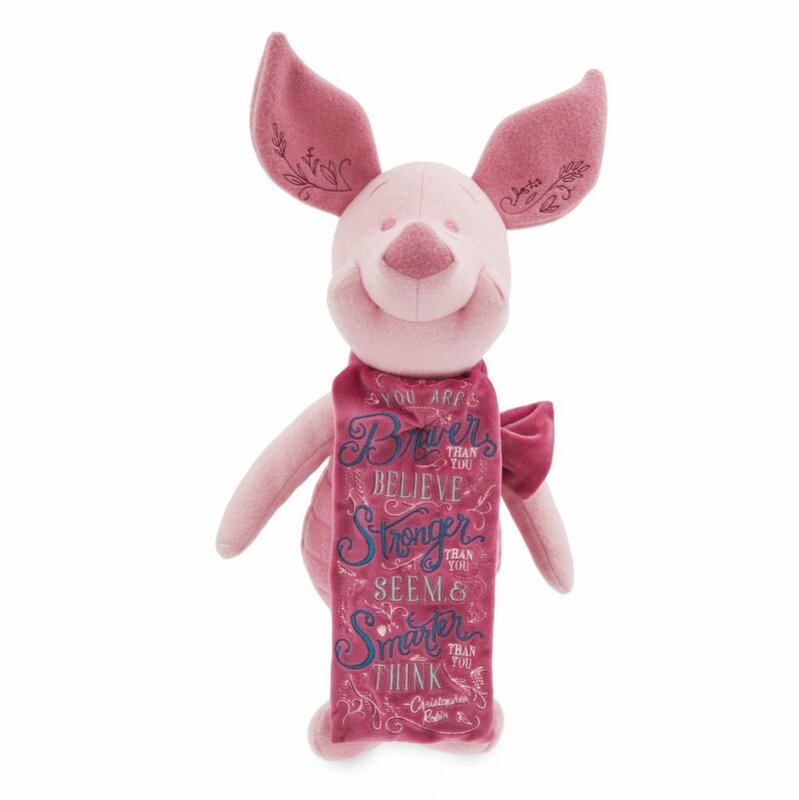 His dry spell comes to an end this evening and the first of three shorts sporadically placed throughout the night is Double Dribble. “The Goof” plays a variety of roles, including every member of both the visiting and home teams, the coach, the ref, and the crowd. It has some hilarious gags, including a cross-eyed referee, Goofs so tall they don’t need to jump to dunk, and even word play from the announcer. It also has some of the overhead dots moving around that were a hallmark of the “How to” branded shorts. This one doesn’t try to educate, it simply finds comedy in many aspects of the sport. Recommendation: Start the night off right with some classic Disney animation and Goofy’s unique brand of comedy in this hilarious short. Professor Ned Brainard (Fred MacMurray, Follow Me, Boys!) 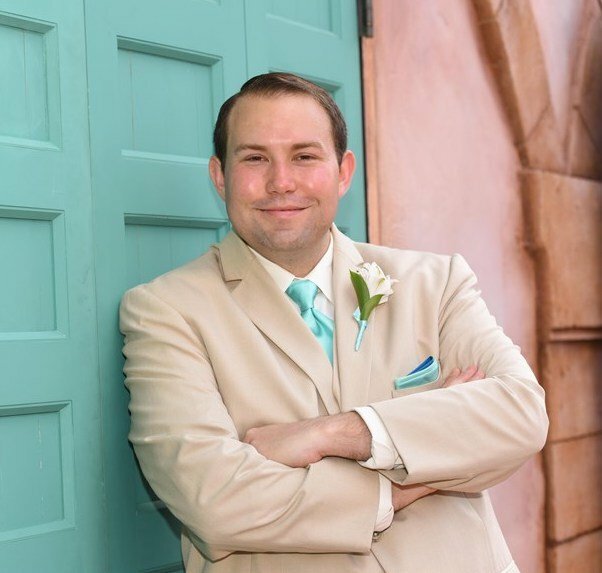 has failed to turn up at the altar for his own wedding twice and his fiance Betsy (Nancy Olson, Pollyanna) has given him one last chance. On the eve of his third wedding, a garage mishap creates a miracle substance that he calls “Flubber,” but he once again misses the ceremony. With the assistance of Flubber, he will try to win back the love of his life and save Medfield College from a greedy investor. Filmed in black and white at a time when color was commonplace, the film employs some groundbreaking special effects that would have been difficult to do in color, including some high-bouncing basketball players. Keenan Wynn plays the villain, while his father Ed Wynn (Mary Poppins) plays the town’s fire chief, a nod to a character he was famous for from his radio days. The fictional town of Medfield and its college was created for this film, but reused in many Disney college-based comedies. Tommy Kirk (Old Yeller) was one of the studio’s biggest stars and this was his first Disney film without playing the older brother of Kevin “Moochie” Corcoran. Fred MacMurray and Walt Disney first worked together on the film The Shaggy Dog, which was a tremendous success. The Absent-Minded Professor was his return to the studio after wrapping the first season of his successful TV show, My Three Sons, a role he only accepted after Walt’s recommendation. 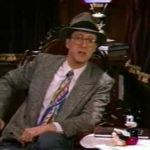 MacMurray was the first recipient of the Disney Legends award in 1987, coinciding with a Disney Channel event to promote the release of a colorized version of The Shaggy Dog. 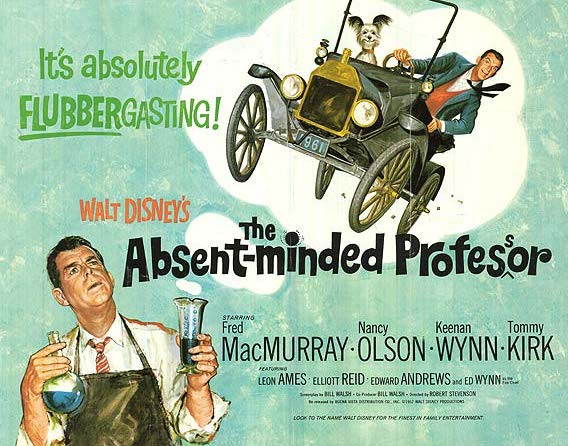 Recommendation: “The Absent-Minded Professor” is one of the best Disney comedies ever made and a true classic, don’t miss it. People who say that Walt Disney was against sequels are wrong. Son of Flubber is in fact the third sequel showcased in the Treasures from the Disney Vault series thus far, and that’s not even including all of the successive Three Little Pigs shorts that inspired the infamous quote, “You can’t top pigs with pigs.” Over the course of his live action producing career, Walt Disney would greenlight five sequels, including this almost immediate follow up to The Absent-Minded Professor, and that doesn’t even look at the tried and true formulas the studio became famous for (and would later suffer from). Spoiler alert! After turning Flubber over to the US government, Professor Ned Brainard finds his invention being classified as “Top Secret” and ends up penniless when he can’t profit from it. To make things worse, the IRS is after him for a lot of money that he doesn’t have based on his projected earnings for his incredible invention. To get out of his slump, he invents a gas version of Flubber and uses it to help Medfield win a football game and help the town’s agriculture. The film is set around Halloween and even includes key plot points that involve the holiday, making it Disney’s first live-action film to celebrate it. This sequel reuses almost all of the first film’s supporting cast, but in different roles, including Ed Wynn as the town’s horticulture expert instead of its fire chief. The color of Flubber is never mentioned in either film, However, color posters for The Absent-Minded Professor show a blue formula in Ned Brainard’s vile and the colorized version from the 1980s also painted the substance blue. A Hasbro toy released during Son of Flubber went with yellow for the color. It wasn’t until 1997’s Flubber that the substance became green, the color with which it is now associated. 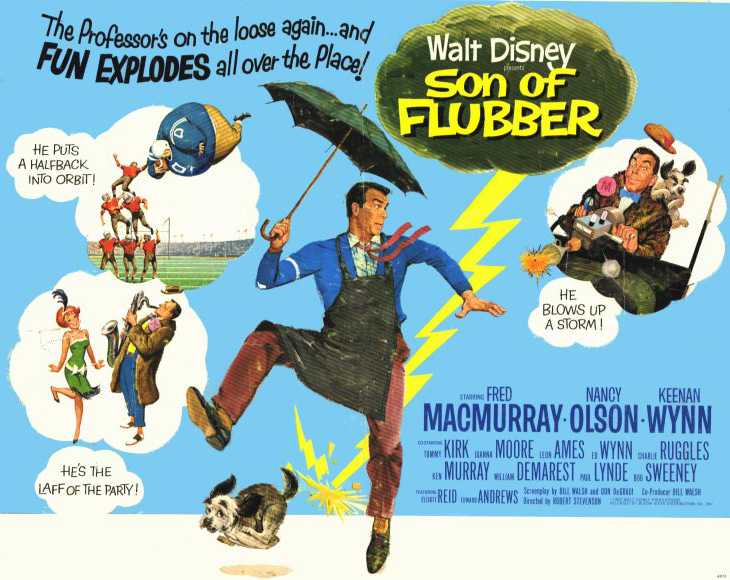 Recommendation: “Son of Flubber” is nowhere near as exciting as its predecessor and the jokes mostly fall flat, but it’s still entertaining and if you’re tuning in to the original, you might as well stick around for this sequel. We now go from Medfield College to Merrivale College with a bizarre comedy that is so 1970’s it hurts. 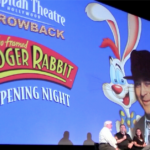 It was one of Disney’s highest grossing films of 1973 and the studio even got serious about making a sequel. It’s probably a good thing they didn’t because it doesn’t hold up well and many of the scenes feel culturally insensitive in hindsight. Coach Sam Archer (John Amos) and his assistant Milo (Tim Conway, The Apple Dumpling Gang) haven’t won a track meet in a long time and are at risk of being fired. While on a retreat in Africa, they discover a boy named Nanu who can outrun a cheetah and recruit him to the university to help their track team. But Nanu’s godfather, a witch doctor (Roscoe Lee Brown, Oliver & Company), soon follows and causes trouble for the coach’s plans. The film makes desperate attempts to make jokes, particularly parodying the Tarzan stories with Nanu being tutored by a girl named Jane. The highlight is a sequence in which the witch doctor puts a spell on Tim Conway that makes him believe he’s only 3-inches tall. Not since Babes in Toyland had the studio attempted such a convincing twist of scale and they wouldn’t again until the late 1980’s with Honey, I Shrunk the Kids. Recommendation: “The World’s Greatest Athlete” doesn’t produce a single laugh and is a reflection of its time with its approach to handling African culture. Skip this mess, you’ll be glad you did. The night is young. Click to the next page for the rest of the evening’s lineup.